Risotto is one of those dishes that I learned to make while I was in Italy. It’s all about letting the liquid absorb in between cupfuls. That lets the starch do its work, and the risotto becomes creamy. You can do any number of flavour combinations – they might not be authentically Italian but that should not hold you back. I created a flavourful base of chilli and ginger then made a tomato/stock/wine mixture for the liquid. At the last minute I added cheese, spinach and cooked chopped bacon. It made a very nourishing and warming dish. Chop up the celery, chilli, ginger and carrot finely. Add to the oil and fry for 3-4 minutes. Add the rice and stir to coat in the oil and cook 1 minute. Add the wine and cook until evaporated, stirring all the time. Mix the tomato puree and water with the stock cubes. Add one cup at a time to the rice and cook until absorbed, stirring continuously. Meanwhile fry the bacon in a little oil and chop into hunks. A few minutes before the rice is cooked and all the liquid is absorbed, add the spinach, the bacon and cheese. Stir until the spinach wilts and the cheese melts. Love the idea of chile in risotto! I’m going to be so trying that. 😉 Really nice — thanks. You will enjoy the new twist of Thai flavours in an Italian dish. Thanks, Emma. It was very good the next day for lunch too. Risotto is such a comforting dish for me and the bacon and spinach would really punch up the flavours. Lovely dish. It is a comforting dish and the weather calls for it at the moment. We are all over the place from sunshine to thunderstorms in the same day. What happened to summer? It’s a one-dish meal and that always feels like a quick dinner even though it takes a good half hour to make risotto. It’s an illusion really. Nice recipe but I thought stock cubes had onion powder in them and onions are fODMAP enemy number 1! Or am I wrong? I have been staying away from sock cubes and all things which contain onions. Good question. Not all stock cubes have onion and garlic in them and you must look out for those without them because onion and garlic are indeed our enemy. I use chicken stock cubes by Massel. I will make a note in the recipe to make sure readers don’t get confused. Thanks. 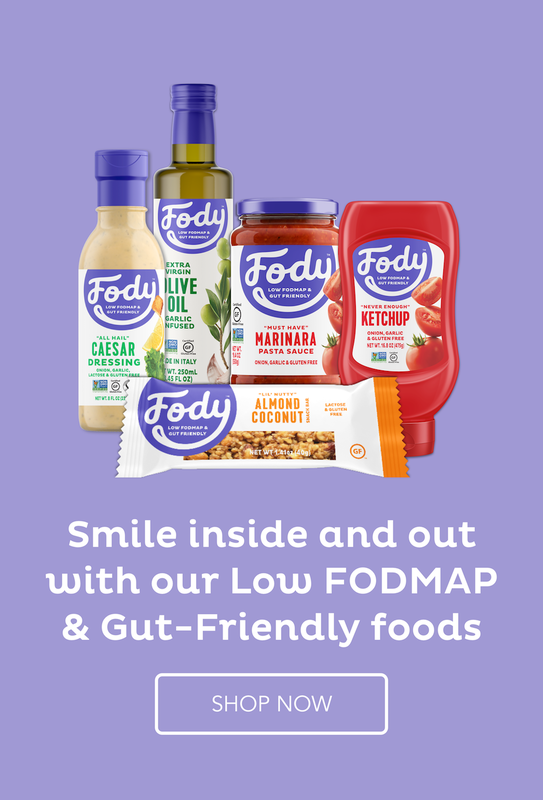 Sadly I do have to inform you that celery is considered high fodmap. Shokora, celery is low Fodmap at 1/4 a stalk and you will see that I have included only one stalk which is divided among four people so you will only get the permitted amount of 1/4 a stalk. So, you can make the dish as is and enjoy it. Ah the difference in hemispheres. You are thinking of a warming meal while I am sweating away with 90F temperatures and looking for no cook food. Nice to have blog archives. I actually did that recipe during your winter in the northern hemisphere but it can happen that the recipes don’t suit the weather somewhere in the world. Tomato is low Fodmap and the amount of puree in this will be fine. But, if you have reflux, this is not a good dish for you. Seriously delicious. Have already done the recipe three times and can’t get enough of it. Consider doing more quantity to warm up the next day as it’s so good, perfect proportions! I have tried it in the oven as well for a low effort version, turned out great. I am glad you enjoy the recipe. It’s such a great comfort food. Hi! I’d love to make this, but we are a strictly no-alcohol of any sort household. What could I sun for the red wine? Another 1/2 cup of water would be fine. • Strands of My Life <Loved it!